are constantly looking for innovative ways to reduce costs and improve efficiencies in their supply chain. One area that is particularly challenging is the rising freight and shipping costs associated with distribution, last-mile delivery, or shipments from a mail center directly to the end-user. Collapsible polyurethane insulated shipping coolers not only help companies combat these issues but also improve environmental impact by reducing your carbon footprint. What Are Collapsible Insulated Shipping Coolers? Collapsible insulated shipping coolers consist of two three-sided panels that are designed to fold into a cube so it can be placed into a corrugated box. This means you minimize space requirements (and thus shipping costs) when you order the empty boxes. 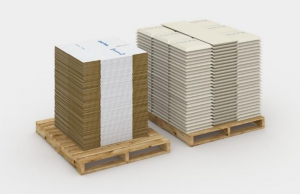 Many companies use styrene (commonly known as EPS or Styrofoam) in their collapsible shippers. If you want to optimize performance and eco-friendliness, look for panels that are constructed of environmentally-friendly and highly durable two-part polyurethane foam. You’ll pay a little more up front, but you will dramatically decrease total costs to ship your product. What Makes Collapsible Insulated Shipping Coolers Perfect for Cold Chain Applications? Knock-Down panels are shipped in flat significantly reducing inbound freight costs. Due to the collapsible nature of these panels, little storage space is required, reducing your footprint in distribution or mail centers. Unlike styrene coolers which ship in as palletized stacks of rigid cubes, knock-down panels are flattened when palletized allowing twice as many coolers to be placed on a standard pallet for shipment. Cut costs: These coolers aren’t just easier to transport–they’re an excellent option if you have limited storage capacity. You’ll save up to 50% space. Collapsible shipping coolers are constructed of two-part polyurethane foam which contains significantly higher insulation properties (R-value) than styrene. This allows the coolers to maintain the desired temperature for up to 5 days or 120 hours, nearly 2-3x longer. Not only does this substantially reduce the costs of shipping but creates countless opportunities to explore more cost-effective ways of shipping temperature-sensitive products to end-users. Cut costs: Switch from Overnight/2-day shipping to standard Ground. Many shipping methods are chosen by the insulational properties of the cooler. 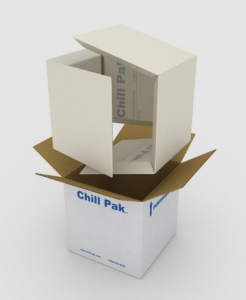 Shipping/distribution methods are often ill-defined by the limitations of a cooler’s ability to maintain temperatures over a short period of time, which often force companies to overnight/express shipments which lead to significantly higher shipping costs. By having an “added insurance policy”, it allows companies to reduce the risk of delays or shipping schedules that could cause product failures or excursions. No matter how irregular the size and the shape of a shipped product is, we have a special secret sauce that allows companies to have custom-fit knock-down panels without the high costs of custom molds. Cut costs: Instead of trying to fit a product into a default sized box, companies can gain access to easy-to-assemble custom-fit coolers at a nominal cost. No special skills are required to put the panels together in order to set up an ideal shipping container. No need for special staff or shift management. Cut costs: Assembly of collapsible insulated shippers fits into your existing supply chain with no additional requirements and minimal extra time spent vs. other specialty options. While knock-down coolers aren’t as cheap as their styrene or EPS counterparts, they have an impressive ROI. Should You Switch to Collapsible Insulated Shippers? 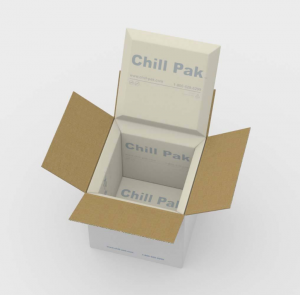 When it comes to temperature-controlled packaging solutions, it’s important to choose the best option for your company. For many companies, collapsible shipping coolers are a more cost-efficient cold chain packaging solution. These coolers are highly durable and cost-efficient. They’re environmentally friendly and recyclable. They maintain required temperatures for up to 120 hours. For more information about foldable shipping coolers and other temperature-controlled shipping options, please contact us today.